Cobalt is hitting historically high prices fuelled by the automobile industry, which needs the rare metal to make light and durable electric batteries. The price per tonne of cobalt rose to $82,000 on the London Metal Exchange in mid-February, its highest level since it began tracking the commodity in 2010, and has almost tripled in value since the beginning of 2016. However, the rapidly growing demand has not yet peaked, according to Darton Commodities, which specialises in the sale of cobalt. "The market is expected to remain in surplus supply until forecasts of exponential growth in electric vehicle sales materialise around 2020," said its annual report. "During 2017, lithium-ion batteries used in portable consumer electronics still consumed around 72 percent of total cobalt consumed in (lithium-ion batteries)," Darton Commodities said, adding however that this share was likely to decline because of growth in the auto sector. "Electric cars came of age in 2017, with sales rising 51 percent," said analysts at Macquarie, noting that the halting of state subsidies for sales in China could slightly slow this growth in 2018. In the rest of the world, more and more countries are planning to phase out petrol and diesel cars, prompting manufacturers to devise strategies to meet the demand for electric vehicles. In December, Swiss mining giant Glencore said it was in discussion with Volkswagen and Tesla to supply them with cobalt, according to managing director Ivan Glasenberg, quoted by Bloomberg. While the high-profile electric vehicle manufacturer Tesla remains discreet about its raw material needs, news reports said that Volkswagen's negotiations with cobalt producers had broken down. In response to the demand, Glencore announced in late 2017 that it planned to produce about 63,000 tonnes of cobalt by 2020, compared with 27,000 tonnes in 2017. Another reason for market interest is that cobalt is largely produced as a by-product of copper and nickel mines. The amount of cobalt in every tonne of ore mined is so small that it takes a high concentration to make the activity profitable. 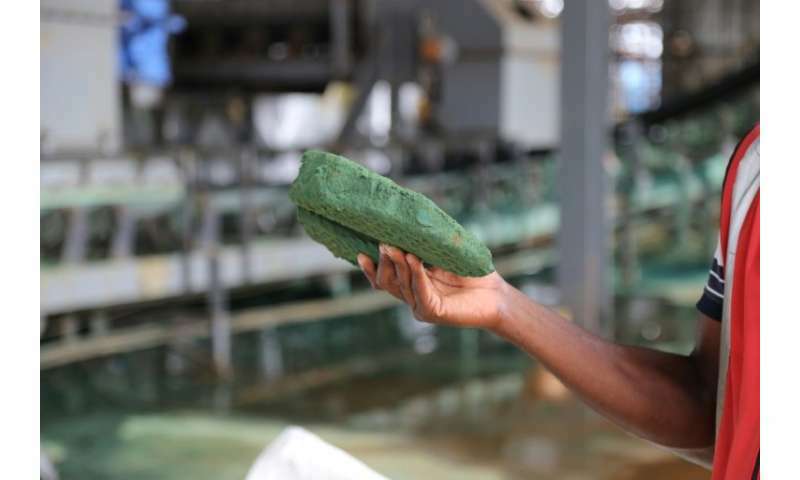 "As a result, the global proven reserves of cobalt are dependent on the economic viability of the relevant copper and nickel mines," cautioned analysts at Natixis. A fall in copper or nickel prices could therefore hamper existing cobalt operations before other mines could be brought online to compensate for such a decline in production. In addition, more than half of cobalt mining production came from the Democratic Republic of Congo in 2017. The country, faced with soaring demand, plans to increase its metal tax fivefold, which is sending shock-waves through the sector. Some believe the daily price set by the LME may have overestimated cobalt's potential. The LME price only reflects part of the true value of the metal, since cobalt exchanges are largely outside the public market. Financial investors, seduced by the potential for electric vehicles, may have induced a market fever, argued Darton Commodities. "In 2017, average annual cobalt prices more than doubled, owing to strong demand from consumers, limited availability of cobalt on the spot market and an increase in metal purchases by investors," the US Geological Survey said in its annual report.